For those paying attention on Twitter, my love for actress/Black SF Superwoman Marlene Clark is paramount to the mission of this space. Unafraid, unashamed, Clark made her mark in genre film beginning with her feature role as Lena Aruza in 1972's Night Of The Cobra Woman after uncredited and guest spots in film and television from Mightnight Cowboy to the Bill Cosby Show. 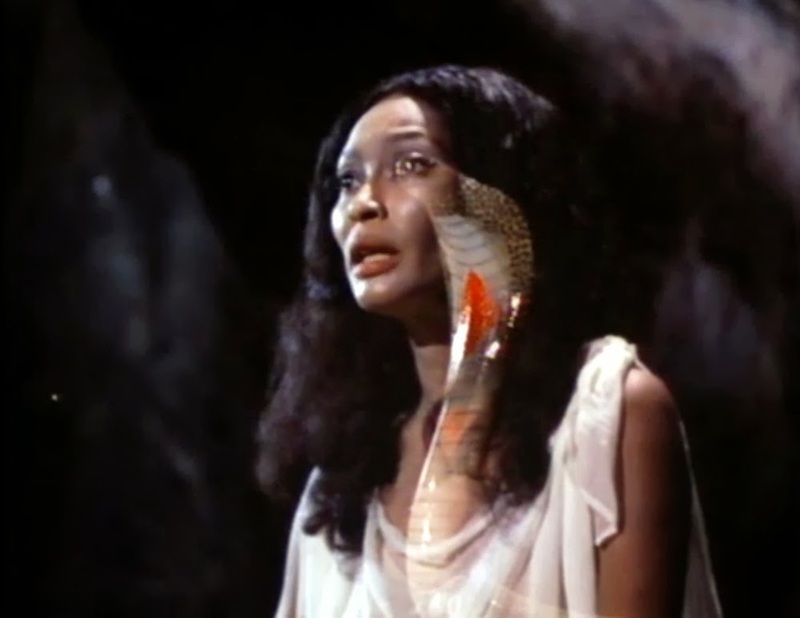 The uncomplicated plot surrounds a young nurse (Clark's Lena) being bitten by a mystical cobra that gives her the power of eternal youth. Of course this comes with a price: destroying the flesh of male lovers, snake companionship and restless, vengeful companions. Despite the bad acting and choppy dialogue, Clark delivers a stand out performance that keeps in tone with the quality of the film, but allures audiences with a charm that she uniquely possesses. Lena is mean-spirited and highly vulnerable; a seductress, and astute medical professional. Lena took an integrative approach to embracing her beauty, book knowledge and intuition to understand her new bond with cobras as both separate and a part of who she is. Being neither all human nor snake, she wrestles duality in ways I'm not sure I can explain. Such a simple film to prompt very intriguing considerations, and it is that simplicity that makes the film difficult to extrapolate. There's not much more to this exploitation fare. I certainly have the verbose strain in my system, but a break from tradition here is necessary. There's a great documentary out there titled Machete Maidens that covers the sub-genre and puts into perspective its place in film history. What is intriguing about these movies is not necessarily their stories, but the grit of representation during its time with a boomer generation that brought Women's Liberation, the backlash of Women's Liberation, the Vietnam War, Civil Rights, etc. into their bodies of work. Clark doesn't receive the recognition I feel she deserves and I'm waiting for her UnSung next to Pam Grier's. 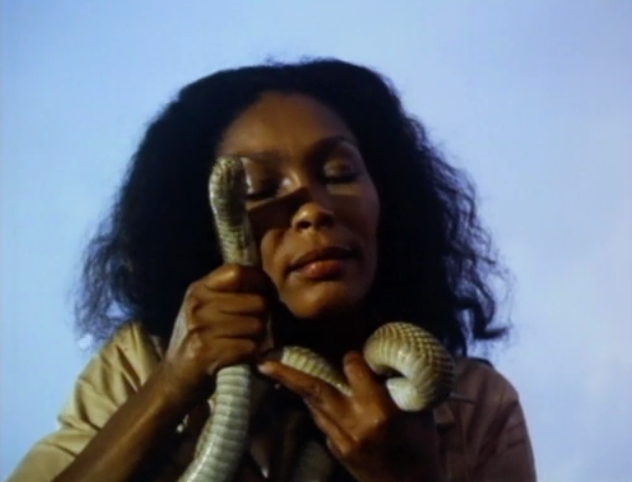 Night Of The Cobra Woman is for the grindhouse enthusiast, the grindhouse curious, anachronists, Marlene Clark fans, and those who love snakes and cute Filipino children.